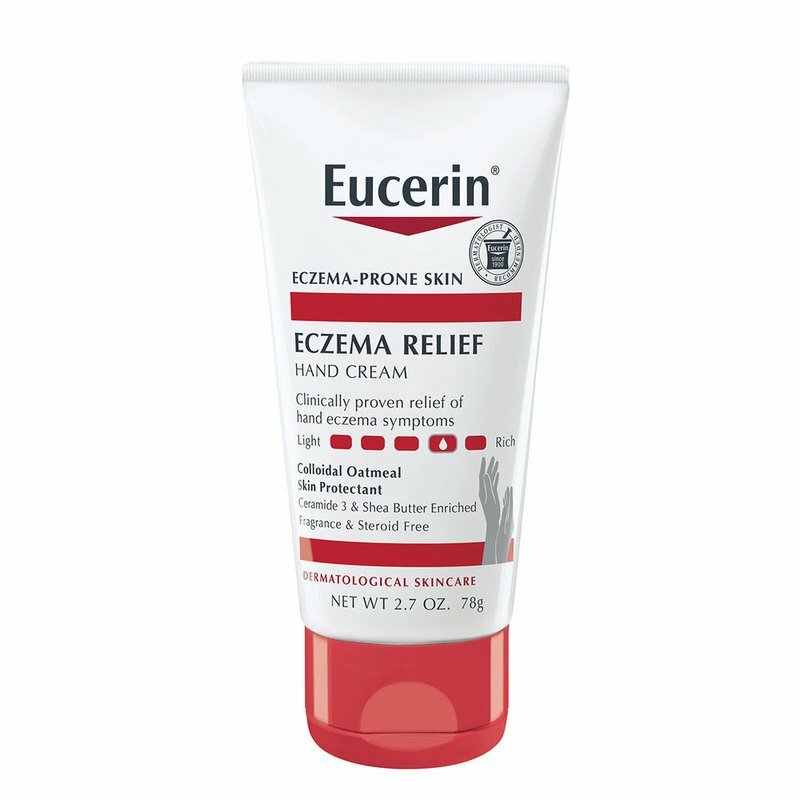 Eucerin Eczema Relief Hand Cream is specifically formulated for hands and is clinically proven to relieve itching, dryness and minor irritations due to eczema. This rich cream is enriched with Colloidal Oatmeal (a skin protectant), Shea Butter, Ceramide-3, and Licorice Root Extract. The soothing cream helps strengthen the skin’s protective barrier and reduces the itch and minor irritation due to eczema. Eczema Relief Hand Cream is fragrance and steroid free.